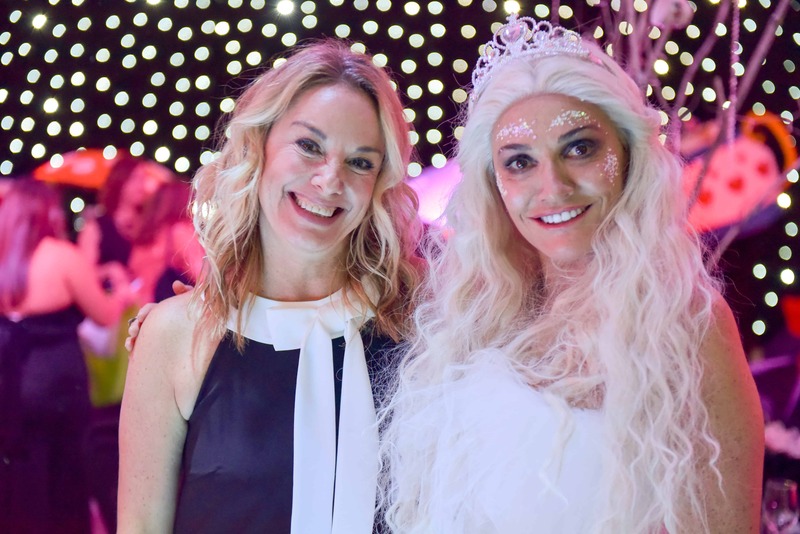 Much-loved Eastenders’ actor Tamzin Outhwaite took a break from Albert Square to celebrate all things odd as she hosted our signature fundraising event, The Odd Ball at the Hilton at The Ageas Bowl in Southampton on Saturday night. 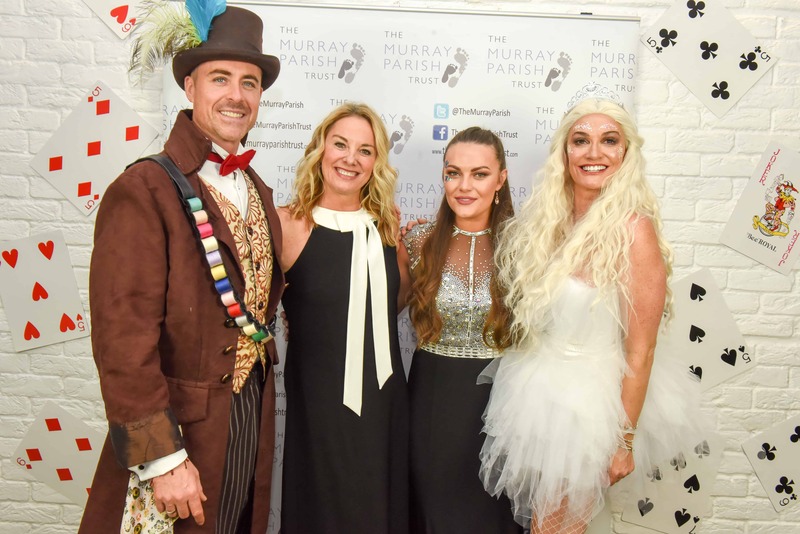 An active supporter of The Murray Parish Trust, Tamzin jumped at the chance to host the glittering night attended by celebrities, dignitaries and local people from across Hampshire. 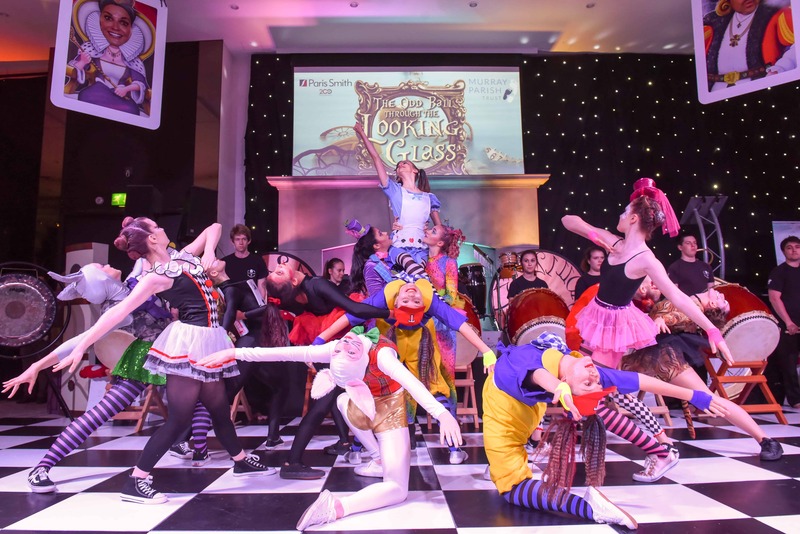 This year’s ‘Through the Looking Glass’ themed event invited you to step into another world entirely. 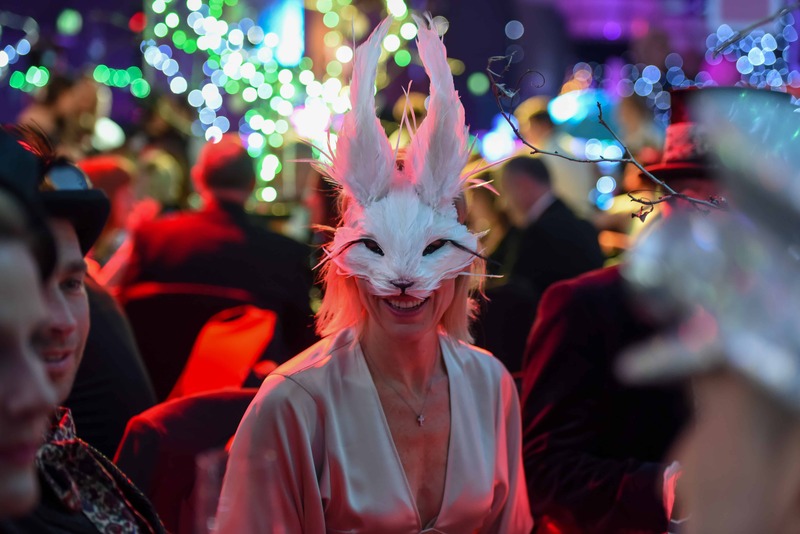 With a dress code of ‘anything from Black Tie to Wonderland’ this year’s guests did not disappoint, arriving in an array of spectacular outfits ranging from White Rabbits, Mad Hatters and some fabulously flamboyant flamingos, to Tweedle Dee Tweedle Dum and the Queen of Hearts! Greeted by our hosts James Murray, Tamzin Outhwaite and our very own White Witch extraordinaire, Sarah Parish, our guests were whisked into Wonderland from the moment they arrived at the champagne reception, with music from Jake Gauntlett and CordElectra before the doors to the stunning ballroom opened at 7:45pm. Our opening act performed by the wonderful Parkewood School of Dance and the Taiko drummers, wowed our guests as they took their seats at tables dotted with toadstool umbrellas, teacups and jewellery and heralded what turned out to be an evening full of surprises, fine dining & fabulous entertainment. 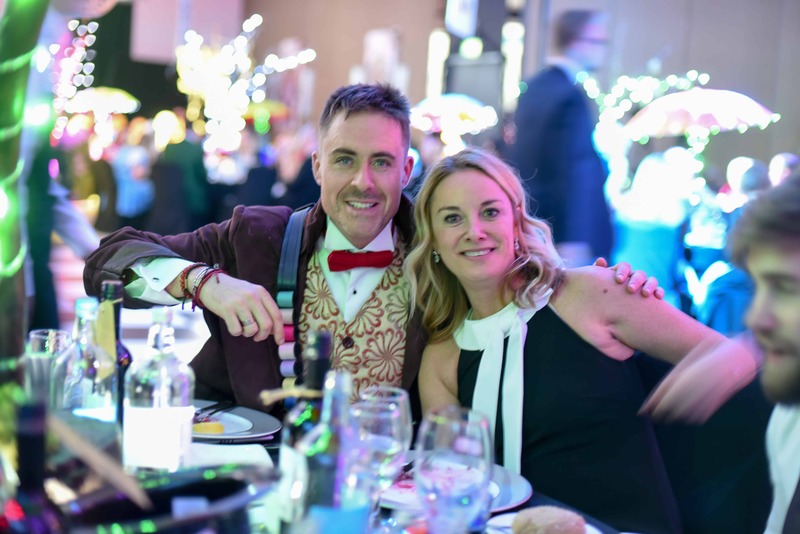 Hosts Sarah Parish & James Murray declared The Odd Ball open with a toast followed by a game of ‘Heads & Tails’ to get the evening off to a lively start and a delicious three-course feast was served. Throughout the evening guests bid on various lots in the Silent Auction with running totals appearing on the big screen. They also had the opportunity to buy tickets for our prize raffle to win a superb holiday for 10 at Casa La Celada in Andalucia. 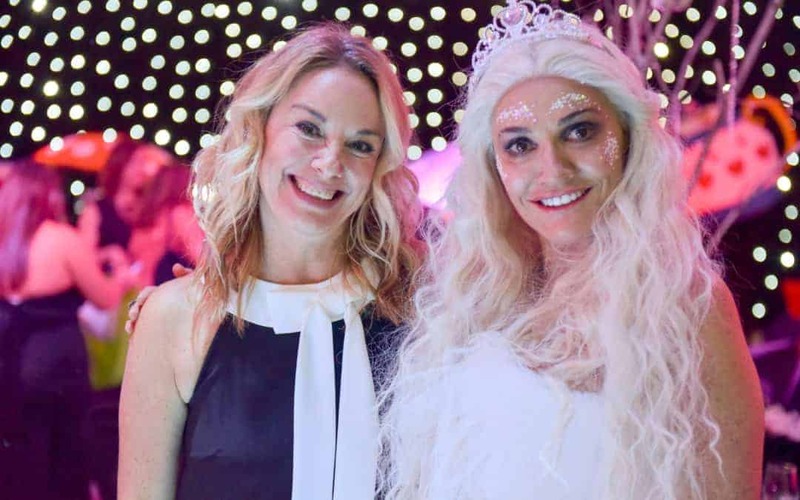 Tamzin Outhwaite took to the stage to introduce Britains Got Talent semi finalists, Faces of Disco, who had the audience in stitches with their unique ‘masked’ dance performance. 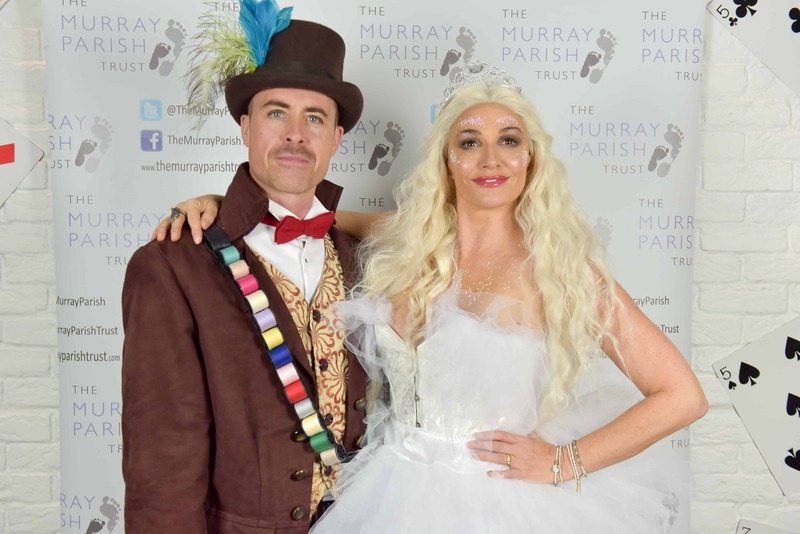 Sarah Parish later addressed the room and spoke about the reasons behind founding The Murray Parish Trust with her husband James Murray, and the incredible progress of the charity over the past five years which has proved to be a truly inspirational legacy, achieving so much on behalf of their late daughter Ella-Jayne. Sarah also thanked everyone involved in organising the evening, including production, volunteers and the The Murray Parish Trust team before introducing a short film about our latest #2MillionSteps appeal. 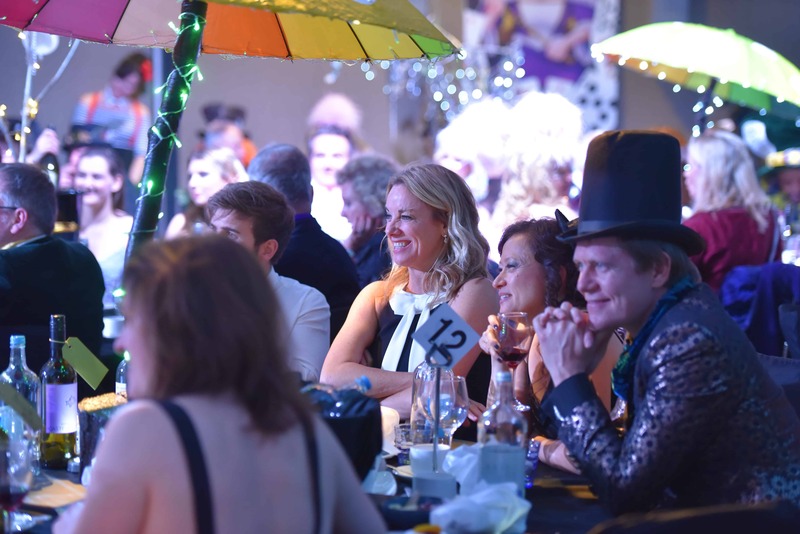 Shortly afterwards the Live Auction got underway with our auctioneer George Burnand’s highly entertaining chant as he hosted the bidding across the ballroom for some incredible lots. 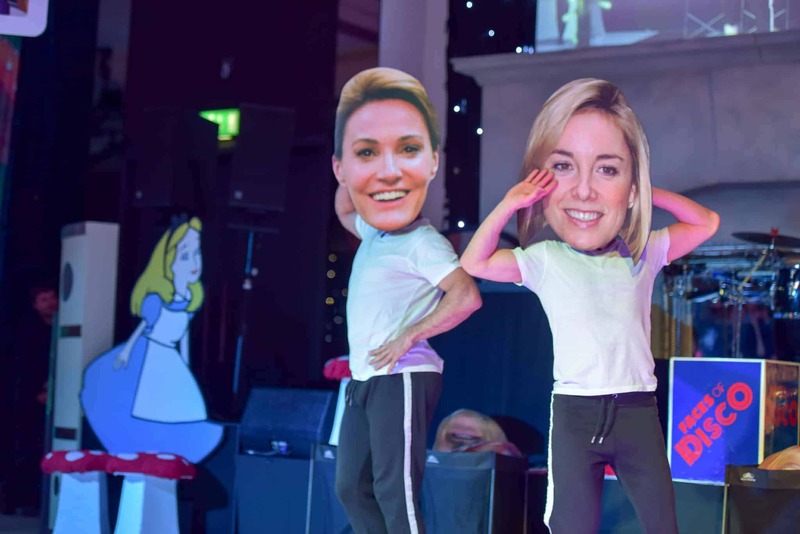 After the Live Auction James Murray, Sarah Parish and Tamzin Outhwaite stood up to announce the late-night entertainment but had a huge surprise up their sleeves. 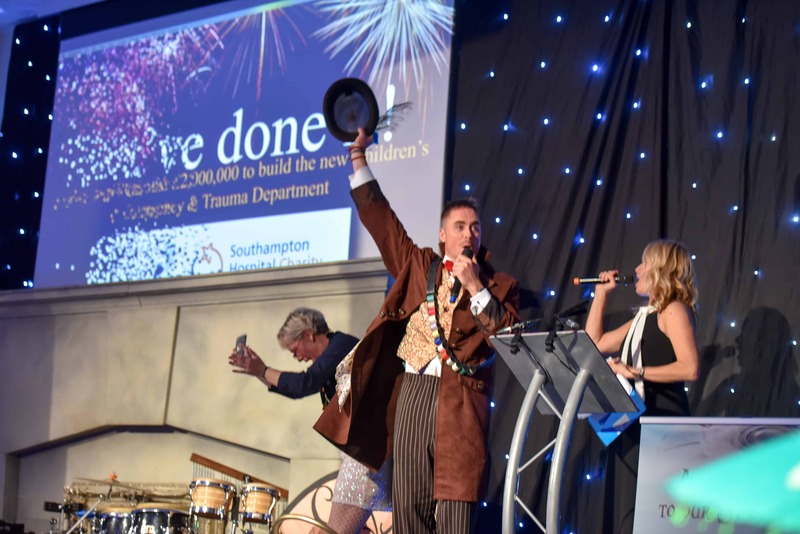 Announcing to the room that thanks to everyone’s generosity since the launch of the #2millionsteps campaign in June 2016… we have now reached our £2 million target in partnership with Southampton Hospital Charity! James Murray invited Jeneen Thomsen from Southampton Hospital Charity to join them on stage and the announcement was met with a huge cheer and a standing ovation! 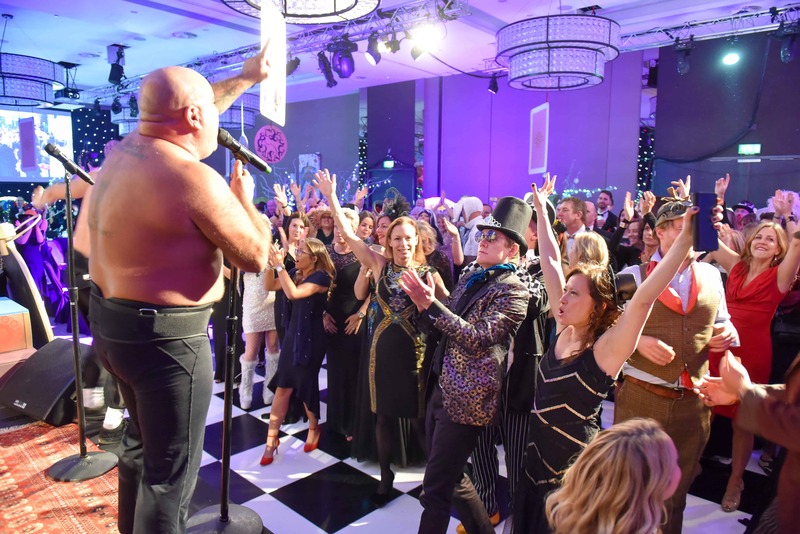 After such incredible news the party continued in full swing, with a hilarious performance from Stavros Flatley who had the entire room engage in a celebratory conga and guests danced until the early hours to a great set from DJ Ed Bassett. You can view the full gallery HERE. Group photos taken at the beginning of the evening will be available to purchase with proceeds going to The Murray Parish Trust. 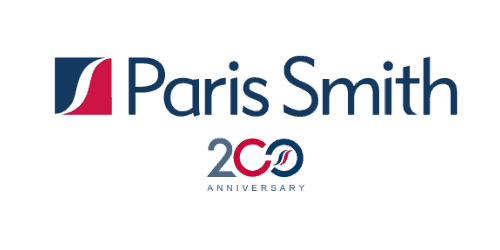 Paris Smith LLP chose to support The Murray Parish Trust in their 200th year and amongst many other initiatives they were the Headline Sponsor for The Odd Ball 2018. Thanks go to AL the sponsors and many donors for making this event possible including; Porsche, Norwegian Cruise Line Holdings, Roger Walker Travel, Danebury Vineyards, Iconic Luxury Hotels, Lucketts Travel, Chapman IP, Barker-Mill Foundation and Jeremy France Jewellers. The Production Lighting & Audio teams: Lite Relief, BCS, GLS, Moxhams, and Solent University. All staff from the Hilton at the Ageas. UK Events & Chair Covers of Hampshire. Superstars auction and our Auctioneer George Burnand. Our fabulous Stage Manager Tori Caine and her team, and to Nadine Collinson for her amazing contribution to the wonderland decor and donation to the Auction. 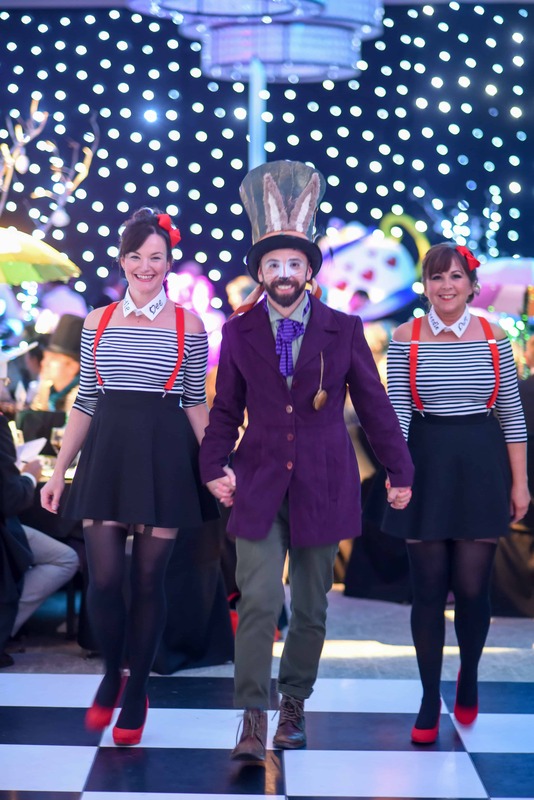 for making The Odd Ball 2018 such a resounding success! “It is absolutely fantastic that the money needed to build a new state of the art Children’s Emergency and Trauma Department at University Hospital Southampton has been raised. The Southampton Hospital Charity and The Murray Parish Trust have worked tirelessly, and I would like to thank all those that gave up their time to raise money or donate funds. Everyone who has worked on and supported the appeal has been phenomenal.” – Peter Hollins -Chair of University Hospital Southampton NHS Foundation Trust Board. After our hugely successful campaign, the Trust has been inundated with ideas for their next fundraising challenge.